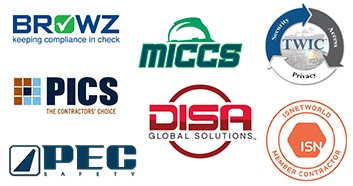 Midwest Cooling Towers, Inc. is a 100% employee-owned manufacturer and supplier of components to over 85 U.S. cooling tower companies and contractors and more than 110 international companies the world over. Our world headquarters and over 200,000 sq. ft. of manufacturing facilities are located in Chickasha, just southwest of Oklahoma City, OK. Right now we are seeking applicants to be part of a regional team interfacing with cooling tower customers. As a member of our team you will be expected to operate with the highest level of integrity. As a company we are committed to providing outstanding “old fashioned” customer service, while offering the best value and striving for a fair profit for all. Willingness and ability to learn technical aspects of the cooling tower industry. Vacation time and paid holidays. Opportunity to participate in 401K plan. If you or someone you know is interested in this position, please click here to contact us today. A cooling tower is a piece of equipment that extracts waste heat to the atmosphere when air is brought into direct contact with water. This process is termed evaporative cooling and is designed to expose the maximum transient water surface to the maximum flow of air. There are two predominant types of cooling towers; direct and indirect. Midwest Cooling Towers business is focused on direct, or open circuit cooling towers. Cooling towers are commonly characterized by directional flow of the air and water as well as the means by which the air is moved. Crossflow and counterflow designs are the most common methods in which the air and water come into contact. Mechanical and natural draft designs are the most common methods by which the air is moved. Crossflow towers utilize a type of splash fill media through which the incoming air flows horizontally across the downward flow of water from the top distribution basins. In counterflow towers the incoming air moves vertically upward through the fill, counter to the downward water flow from the distribution laterals. Mechanical draft towers utilize some method of mechanically force, such as a fan to move air through the tower. To learn more about cooling towers, please click here. https://midwesttowers.com/wp-content/uploads/flash4.jpg 463 519 Sally Jordan https://midwesttowers.com/wp-content/uploads/2015/04/midwest-cooling-tower-logo.png Sally Jordan2012-10-23 11:44:002015-04-20 17:49:48What is a Cooling Tower?